A necklace composed of dozens of pearls and one giant pearl. Estimated value in today's currency: a whopping $18 million. A gentleman thief, Joseph Grizzard ("The King of Fences"), who heads a gang of thieves in post-Edwardian London. And the methodically minded Alfred Ward, a Scotland Yard detective, one of the agency's first. 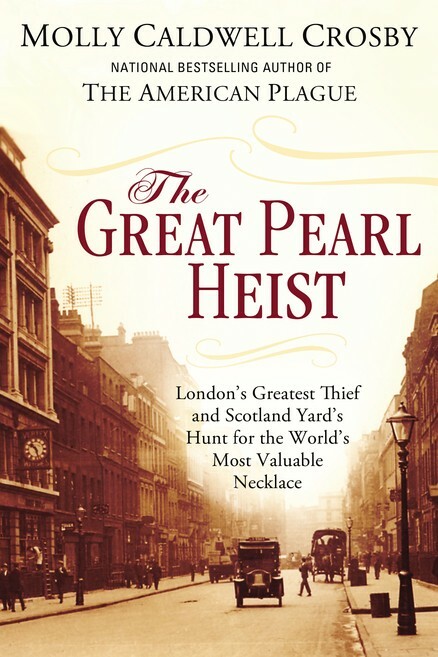 That is the necklace in question and those are the two opposing main characters in Memphian Molly Caldwell Crosby's latest book, The Great Pearl Heist: London's Greatest Thief and Scotland Yard's Hunt for the World's Most Valuable Necklace (Berkley Books). If you send out holiday cards and think $15 per card is a little pricey, think of the price paid by a city with so many citizens struggling with illiteracy. Literacy Mid-South, which works to improve and promote reading among Mid-Southerners of all ages, is more than aware of the price paid. And here's where you come in. The staff and volunteers at Literacy Mid-South are ready to handle your holiday card list — and gift list too. You donate the $15 per card. Literacy Mid-South does the rest — from the hand-written envelope to postage to mailing. All proceeds go directly to Literacy Mid-South's programs. Any questions? Contact Erica Nason at 901-327-6000 ext. 1000 or at enason@literacymidsouth.org. Go to literacymidsouth.org with your list of names and addresses. You have until December 16th. 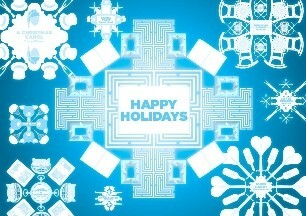 Each card carries the greeting: "Treat yourself this Holiday Season. Read a good book." And each card comes with the added message: "A holiday gift was made in your name by [donor's name] to serve more than 120,000 Memphians struggling with illiteracy." See? You don't even have to sign. 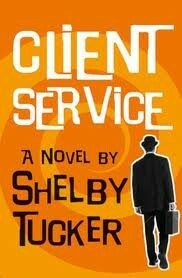 Born in Ripley, Tennessee, and reared in Memphis, Shelby Tucker, a lawyer by training and by trade, has made his home in England now for decades. But he's been equally at home everywhere in the world as an intrepid traveler whose preferred method doesn't require comfort, but it often does depend on one thumb and two feet. (Translation: hitchhiking.) Tucker's written about his adventures and about recent history in Among Insurgents: Walking Through Burma, Burma: The Curse of Independence, and The Last Banana: Dancing with the Watu.